Walt Disney opened his version of what a theme park should look like on this day, and in doing so he reinvented it. It was the first, the original and unheard of at that time. Disneyland became the park that all others would emulate. Doesn't look too shabby for being born all the way back in 1955, does it? Through most of his life Walt struggled to get money for his projects, from shorts to films... he very often gambled the fate of his studio on projects that if they were to fail, would have doomed his own company to bankruptcy. And when it really counted, like "Snow White and the Seven Dwarfs" or "20,000 Leagues Under the Sea" he came through more confident, more strong and more able than before. But after Disneyland opened he never ever had trouble getting financial backing again for anything. Happy Birthday to the one and only! Often immitated and now duplicated, Disneyland is still the one, the only, and the BEST. The best because it's the only park where you will walk in Walt's footsteps. 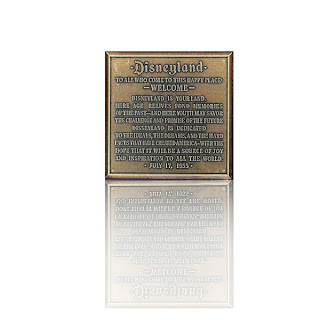 Happy Birthday Disneyland! How are you such a bad writer? And whatever happened to your "bothans" and actually reporting on "blue sky" stuff? 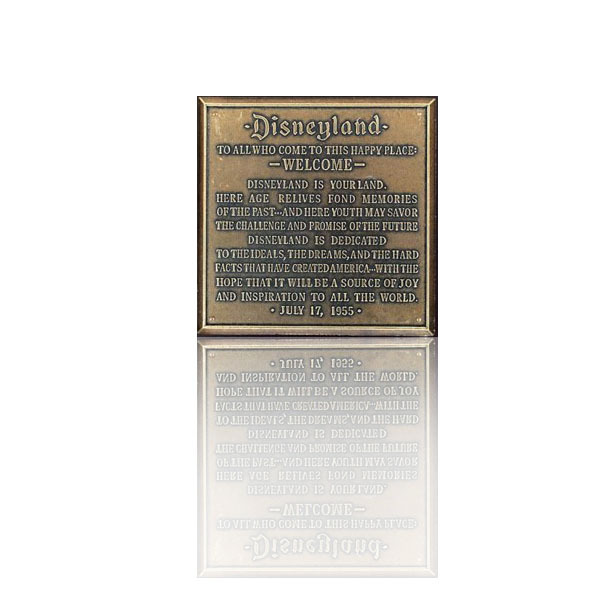 Someone recently created a tribute video to Walt on youtube...it starts out with his speech on the opening day of Disneyland, backed up with "When You Wish Upon A Star" from Pinocchio....I bawled like a baby. THAT'S the kind of Disney that wins hearts and inspires souls...that's the Disney that's missing from Disney today. Well, at least the Winnie the Pooh movie that just opened has a touch of that old magic...let's hope there'll be more very soon...Thanks for the tribute to a wonderful man and a wonderful land, Honor. Lets have a story shall we? Anon#1 gets up every morning. He religiously reads honors blog even though the content doesn't really interest him. Finally today, he cracked. "How are you such a bad writer? And whatever happened to your "bothans" and actually reporting on "blue sky" stuff?" Yeah, I'm sure insulting him is going to make him post another report, Anonymous. You have a great strategy for wanting to see another Blue Sky Buzz post. Perhaps the reason he hasn't put up one lately is he doesn't have anything to say or he can't talk about it? But I'm sure your comments will change all that. What makes Honor any more of a valid commentator than anyone that's listed as an anon? I don't know what he looks like and I'm going to guess most of his readers don't either. Also, Honor has to approve each comment. He himself seemed to have no issue with the content of that anon comment. "What makes Honor any more of a valid commentator than anyone that's listed as an anon?" Nothing, and we all know it, except for the stupid ones. Look at it this way, you know this... and yet you still waste your time reading and commenting on it. Who's more foolish, the fool or the fool who follows it?